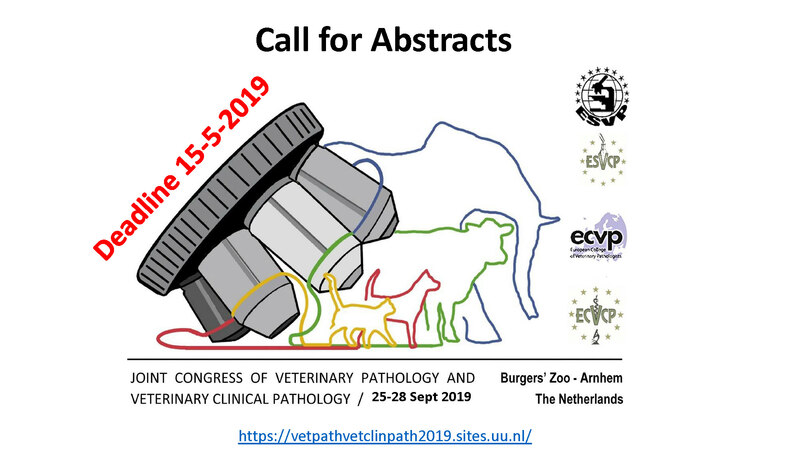 The objectives of the European Society of Veterinary Pathology are to promote the scientific work of veterinary surgeons and physicians active in the areas of functional and morphologic pathology of animals, as well as that of other interested natural scientists, by means of organising scientific post-graduate training, conferences and meetings. Learn more about the history, mission and vision of the ESVP. The Veterinary Diagnostic Laboratory (VDL) in the College of Veterinary Medicine (CVM) at Michigan State University (MSU) invites applications for a position in anatomic pathology as an Academic Specialist. Applicants must have a Doctor of Veterinary Medicine (DVM) or equivalent degree. Board certification or eligibility by the American or European College of Veterinary Pathologists (ACVP or ECVP) is strongly desired. A unique opportunity to broaden your knowledge of drug discovery and development with special emphasis on drug safety. SafeSciMET offers an outstanding faculty of academic and industry experts and an interactive program, including case studies from the pharmaceu=cal industry providing a broad understanding of the latest developments in safety sciences. A councillor position on the board of the ESVP will be available from the AGM at the Lyon meeting in September 2017. Interested members are invited to send their CV, along with the names of a proposer and seconder, to be sent to the Secretary by February 28th 2017. The new councillor will have responsibility for maintenance of the ESVP website homepage and the list of sponsors for ESVP meetings. Younger members of the Society are particularly encouraged to join the Board.